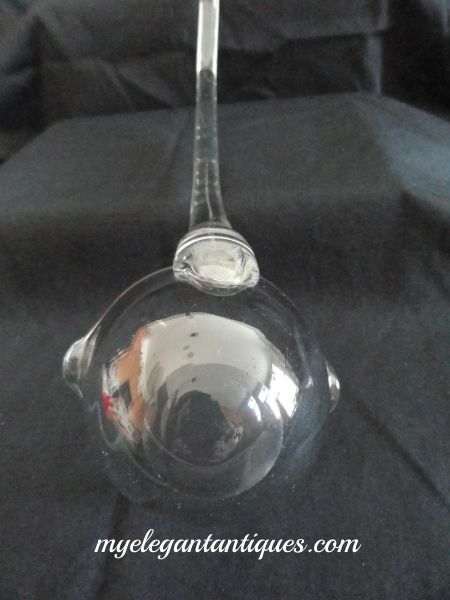 We are pleased to offer an exceptional Vintage Heisey Elegant Glass 15 PIece Punch Bowl Set With Under Plate, Ladle And Cups, which was crafted in the beautiful Crystolite pattern. 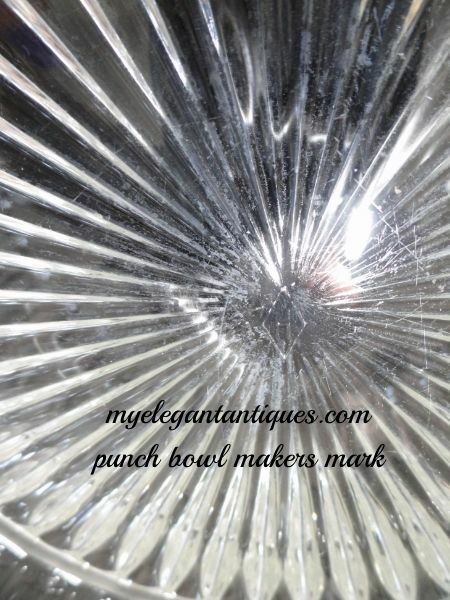 It is rare to find a complete Vintage Heisey Elegant Glass Punch Bowl Set, which includes the punch bowl, punch bowl under plate, 12 flat punch cups and a ladle. 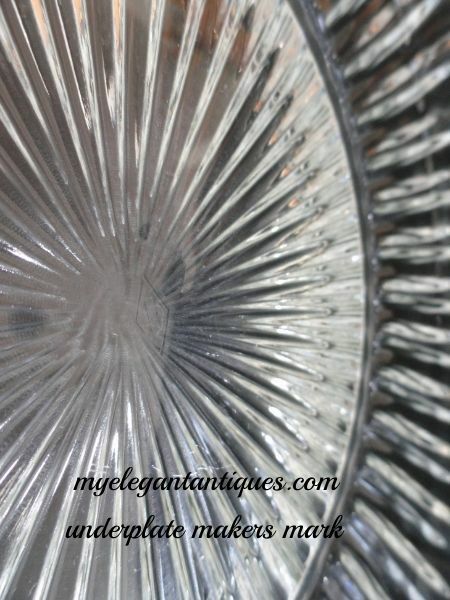 The distinctive Vintage Heisey Elegant Glass Crystolite Pattern is comprised of large, pillar-molded ribs with smooth rounded edges and very heavy, sparkling clear glass. 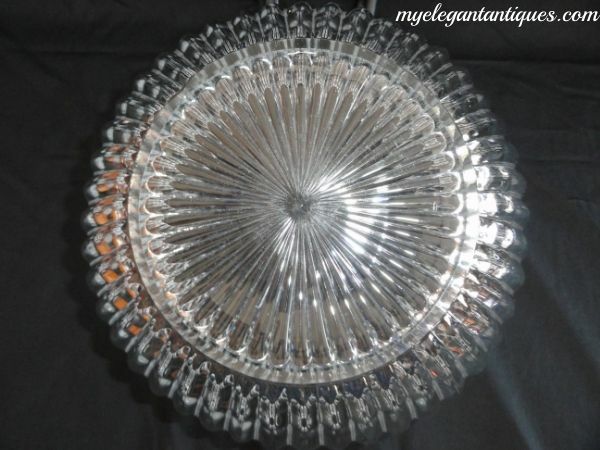 This Elegant Glass pattern was manufactured by the A. H. Heisey Company from the late 1930's to 1957, the year they closed their doors. 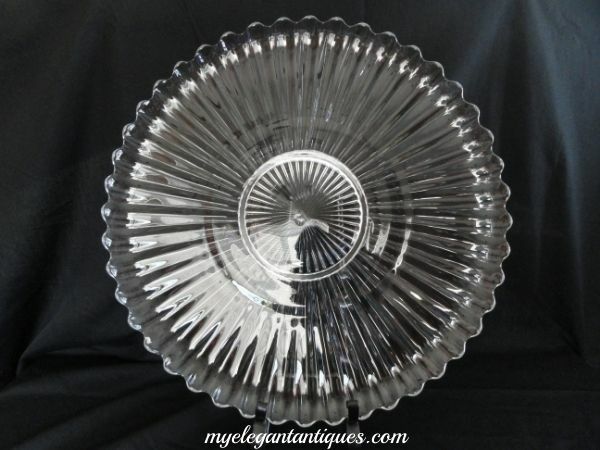 Highly collectible, the beauty of vintage Heisey glass is attributed to their excellent glass formula, high quality raw materials and their superior finishing processes. 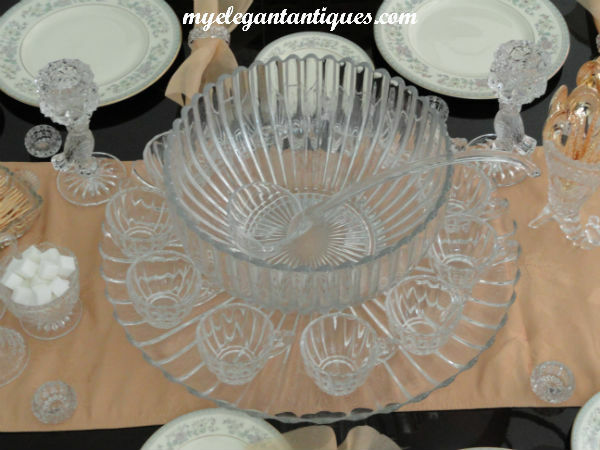 Except for the ladle, every piece in this Vintage Heisey Elegant Glass Crystolite 15 Pc Punch Bowl Set With Under Plate, Ladle And Cups is signed with the Heisey 'H in Diamond' mark on the bottom. 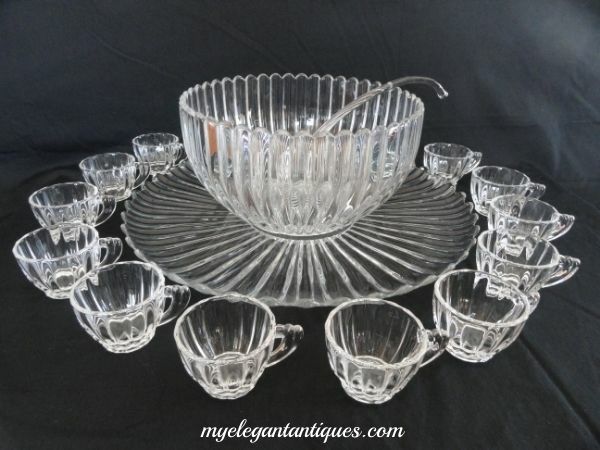 All of the pieces of this Vintage Heisey Elegant Glass Crystolite 15 Pc Punch Bowl Set are in excellent condition, with no cracks, chips, flea bites, stains or discolorations. 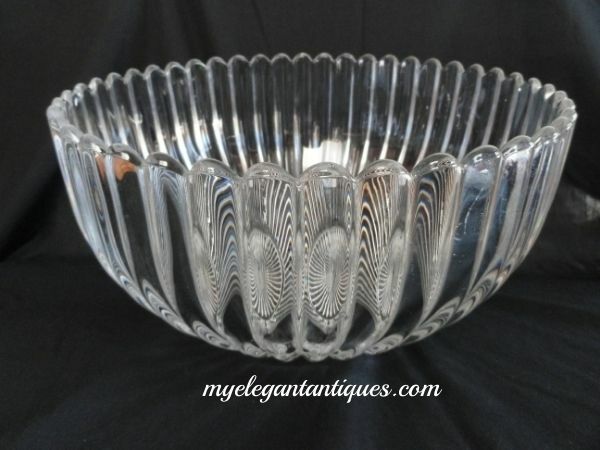 Weighing a substantial 6 lbs, 11 oz, the Vintage Heisey Elegant Glass Crystolite Punch Bowl measures 11-3/4" in diameter and 6" tall. 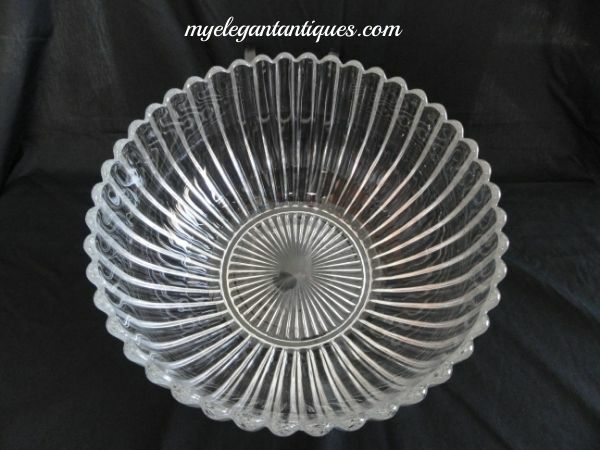 The Vintage Heisey Elegant Glass Crystolite Patter Punch Bowl Under Plate - (also referred to as a torte plate, punch bowl base, or punch bowl under liner) - measures 18-1/2" in diameter, and weighs a hefty 6 lbs 13 oz. 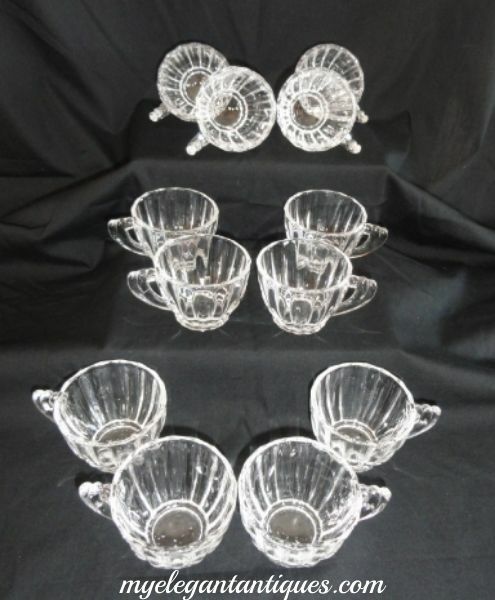 Each of the twelve Vintage Heisey Elegant Glass Crystolite Punch Cups varies in weight from 5.3 oz to 5.9 oz. They are 2-1/4" tall, while their bowls measure 3" in diameter and 3-7/8" from rim to handle. 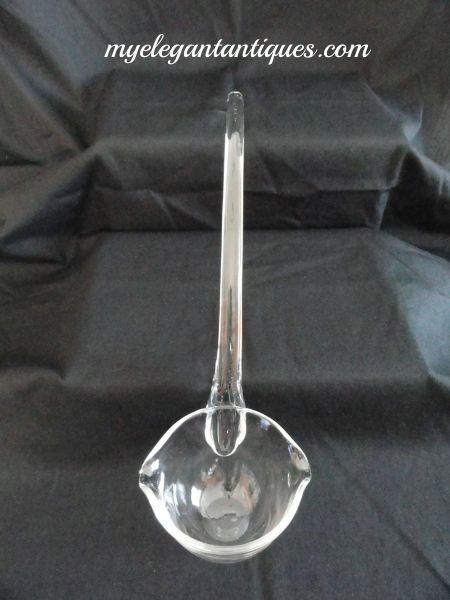 The Vintage Heisey Elegant Glass Crystolite Ladle measures 13" long and weighs 8 oz. 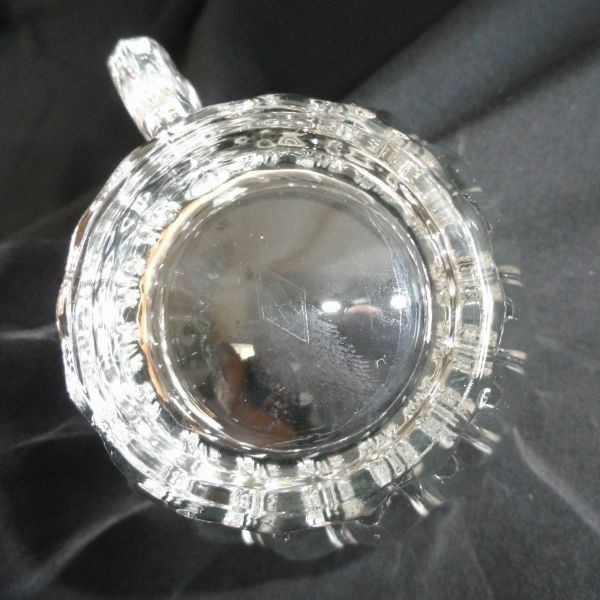 Due to the fragility, size and weight of these Vintage Heisey Elegant Glass pieces, we will ship this punch set in multiple boxes.